The best camera backpacks test for 2018 represent brands with roots in carrying photography gear, commuting related products, and outdoor equipment. We chose a widespread in design; some of the camera backpacks best served urban environments while others belonged in the wilderness. The different design philosophies prioritized gear protection, storage of camera gear, storage of other equipment, organization, and styling. Packs varied in camera gear storage and protection methods and the ability to carry items required to digitally edit images, like notebook computers, tablets, and drives. Some packs were extremely weatherproof while others were not concerned with usage in extreme conditions. Our tester used the packs for both professional assignments and personal use. Most testing occurred during full days in the field while working various editorial duties in both the outdoor and motorsports industries, as well as use during photography school projects. Testing of the five packs took over a year and encompassed travel across the United States and into both Baja and mainland Mexico. 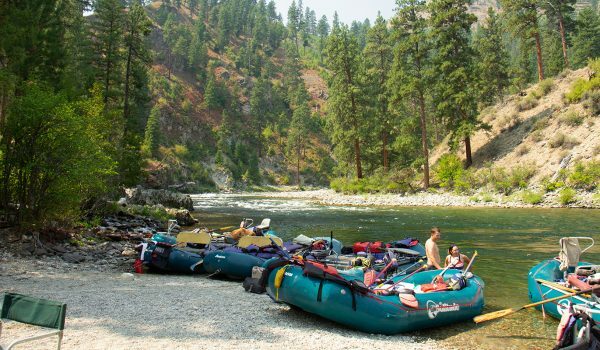 The packs endured everything from winter alpine conditions to warm beaches in all four seasons. The 2018 Best Photo Backpack contenders (from top left to bottom right): Peak Design Everyday Backpack 30L, MindShift Gear Rotation180 Horizon 34L, Mountainsmith Tanuck 40L, Thule Covert DSLR Rolltop Backpack, Lowepro Whistler BP350 AW. 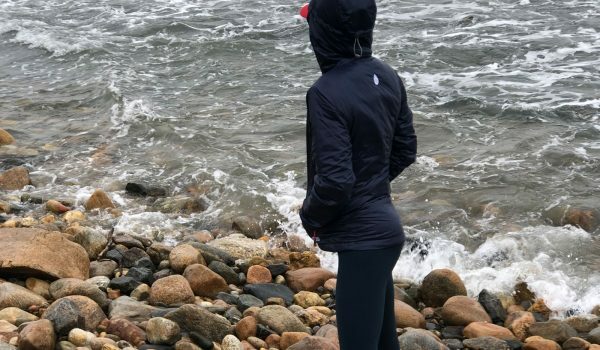 The Lowepro Whistler AP350AW is the most usable pack of the test for aggressive outdoor pursuits, in harsh environments and inclement weather. 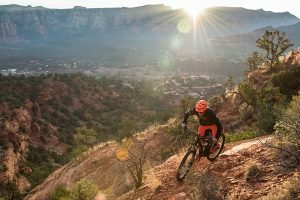 The protectiveness and ruggedness of the Lowepro Whistler AP350AW inspire confidence that gear will survive any outing with the ActiveZone harness ensuring a stable ride even during gravity assisted travel. 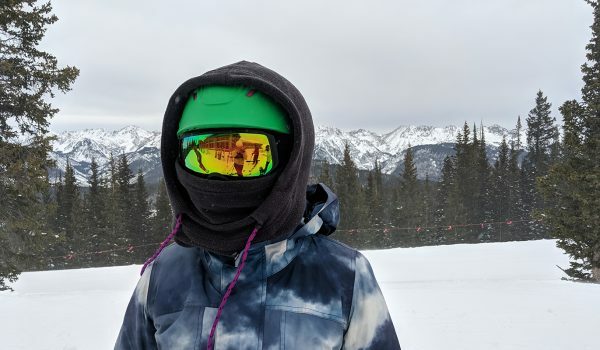 The Lowepro Whistler AP350AW is also the only pack of the test that will carry skis or a snowboard but is limited to day use as the total capacity of non-camera gear is limited. 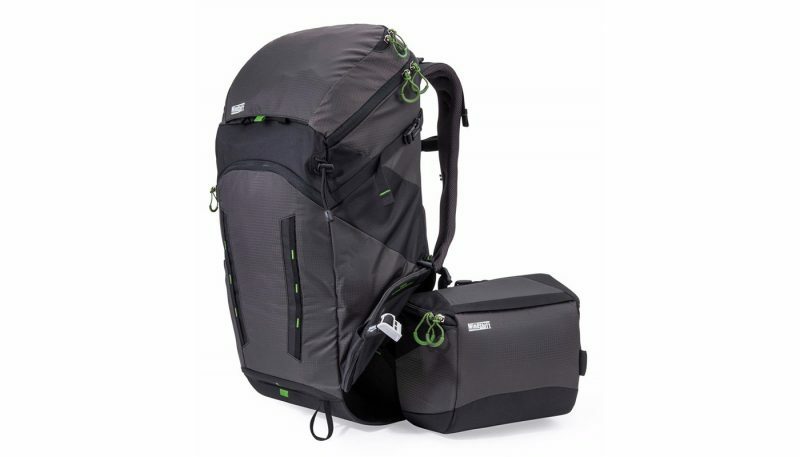 The MindShift Gear Rotation180 Horizon 34L standout feature is the Rotation180 system which allowed access to camera gear without taking the pack off, making it ideal for outdoor adventure oriented photography. 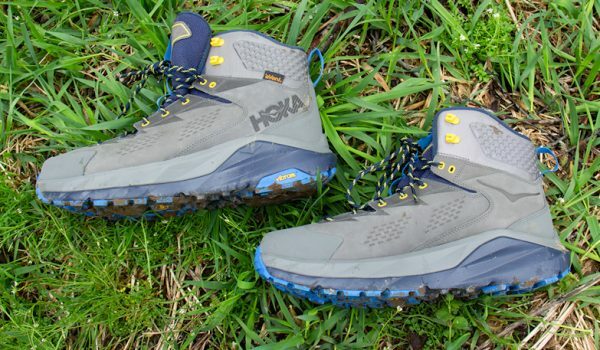 The suspension system carries well for aggressive hiking, and the low overall weight is a bonus. 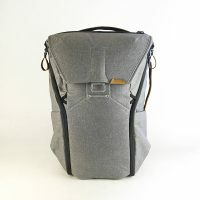 The Peak Design Everyday Backpack 30L moniker fits well; smart designs, useful features, and contemporary looks make this photo pack great for everyday use in the city. 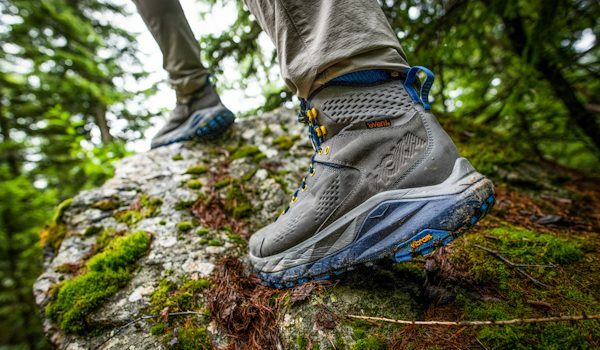 Limited protection from rain, relatively thin gear padding and minimalist suspension components renders it less ideal for the wilderness but proves a go-to solution for the urban landscape. 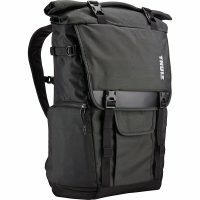 The Thule Covert DSLR Rolltop Backpack is a well-organized camera backpack that is well-suited for shooters on urban assignments that need to carry their notebook computer for editing and uploading on the go. The camera gear is well protected, fits mirrorless systems better, and the expandable roll top section can ferry an abundance of other items. A hip belt is lacking, so this inconspicuous camera and computer hauler is best for tamer urban activities. 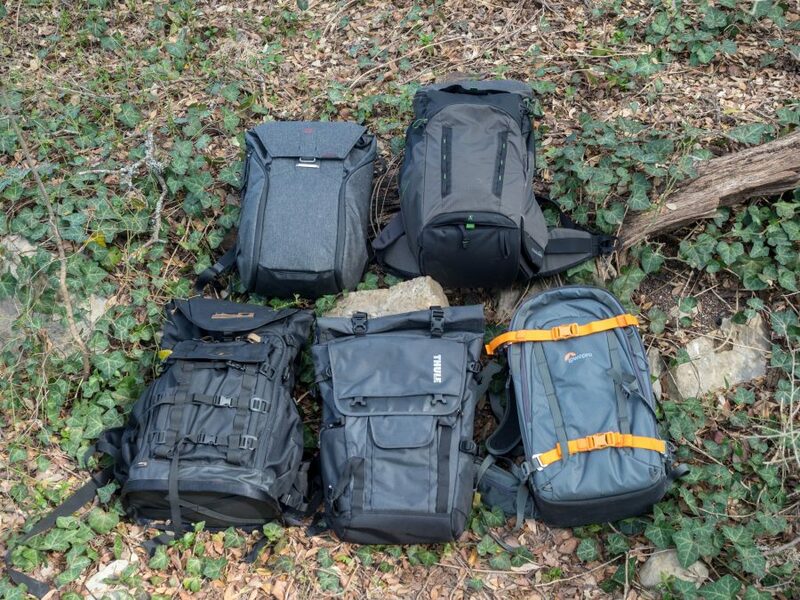 All the packs in the 2018 camera backpack test were more than competent at ferrying camera gear to shooting locations. The Thule Covert DSLR Covert Rolltop Backpack and Peak Design Everyday Backpack 30L both were styled to remain inconspicuous and possessed the ability to carry notebook computers and accessories necessary to edit photos and conduct business while beating the streets. The Lowepro Whistler BP 350AW, Mindshift Gear Rotation180 Horizon 34L, and Mountainsmith Tanuck 40 better suited the outdoor adventure photographer; suspension, materials, and features more in line with rugged environments, weather, and use. 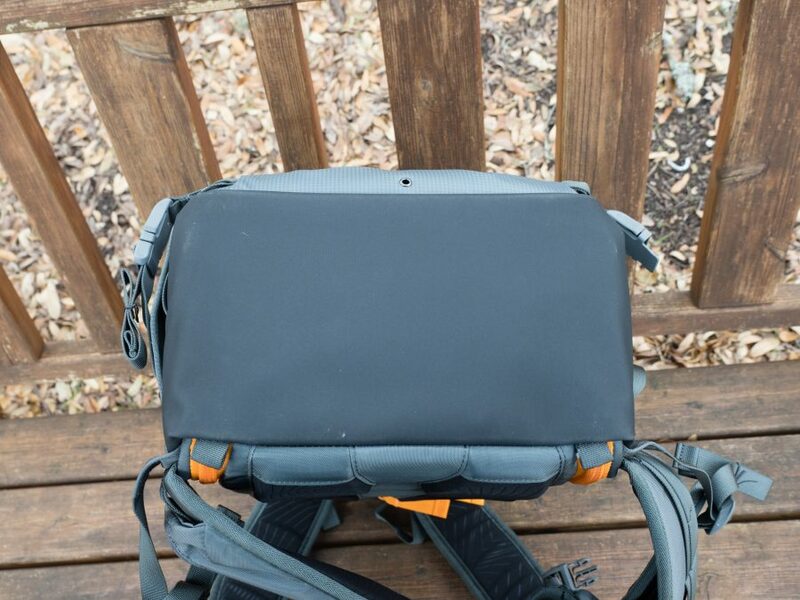 The outdoor-oriented bags (other than the Mountainsmith Tanuck 40) tended to limit or omit options for carrying computers and office supplies. These bags would be perfectly capable in urban situations with such additions. 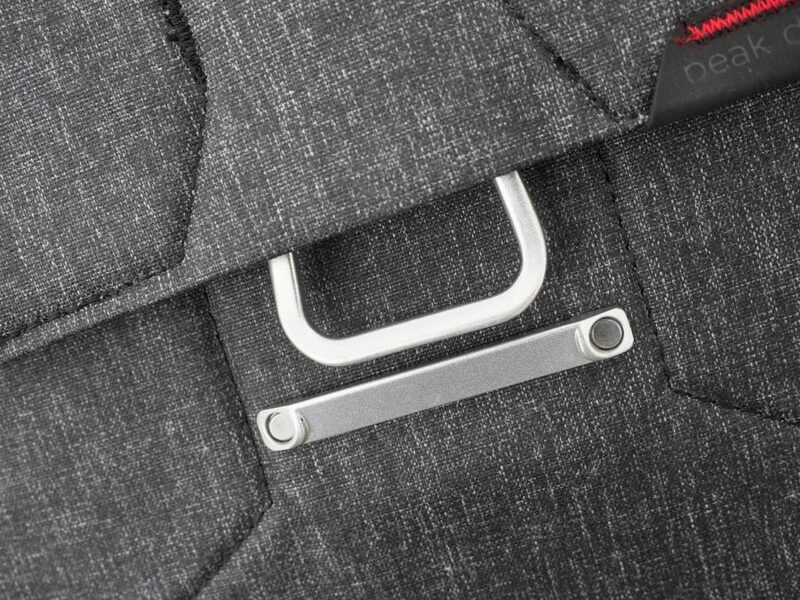 These extra features would possibly reduce storage space and add weight but would eliminate needing a different bag for urban outings or when computers or office supplies were required. These bags obviously looked like they belonged in the wilderness and were larger; in some urban situations they attracted attention, possibly signaling expensive contents. One common compromise among all the packs was the camera gear capacity vs. noncamera gear capacity. A camera body with lens mounted, along with two other lenses and common accessories (extra batteries, cleaning supplies, etc.) combined with a single day’s worth of noncamera gear easily fills a day pack’s volume; anything more would push the overall size of the pack to beyond what most would consider appropriate for daily use. The Mountainsmith Tanuck 40 was the only pack large enough to hold ultralight overnight gear; because of this, we found it to be too big for daily use, particularly in the city. The popularity and growth of mirrorless cameras may help to ease the challenge of carrying both a full camera kit and enough gear for overnight outdoor missions and beyond. 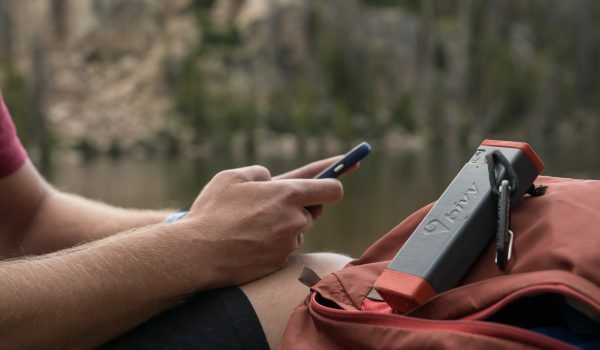 These smaller systems allow dedication of more overall pack volume to outdoor equipment. 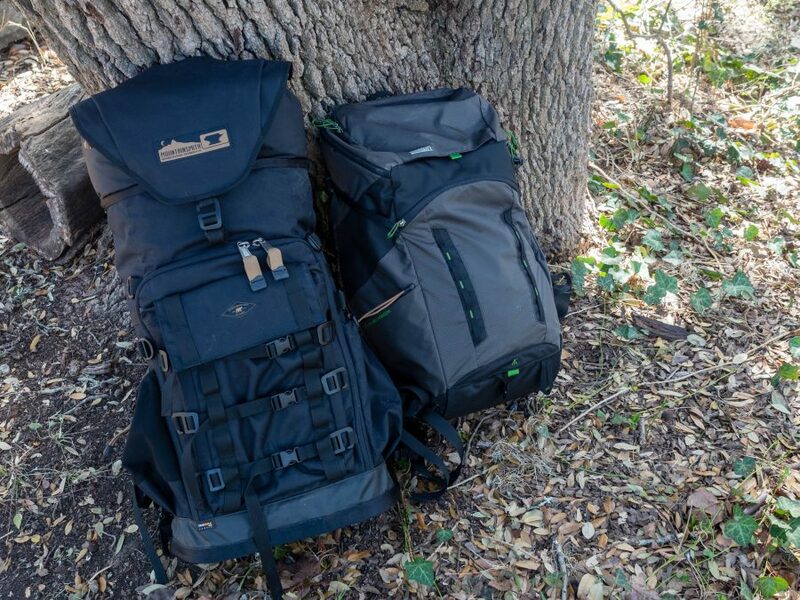 The Mindshift Gear Rotation180 Horizon 34L was the most comfortable pack in the test, rivaling the cushy feel of high-end backpacking packs of similar capacity. 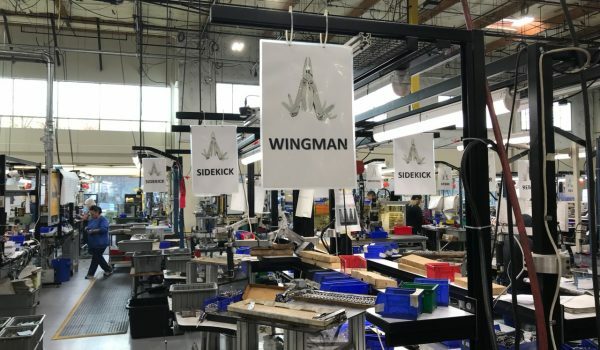 The plastic frame sheet and aluminum stay provided a balance between load transfer to the hips and mobility and worked well with the amply padded and ventilated shoulder, hip and back panel padding. The Rotation180 system concentrates the heavy camera gear down low driving the weight directly on the hip belt for the best carrying comfort. 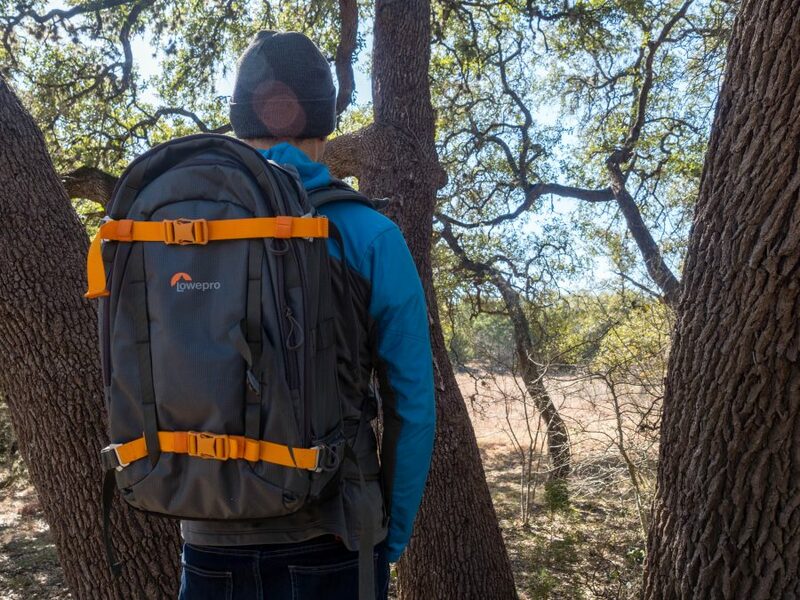 Although the pack fit our six-foot tall, 165-pound tester well, it is only available in one size, a drawback considering how well the pack feels and performs. The well ventilated and padded back panel on the MindShift Gear Rotation180 Horizon 34L rivaled that of high-quality backpacking packs. 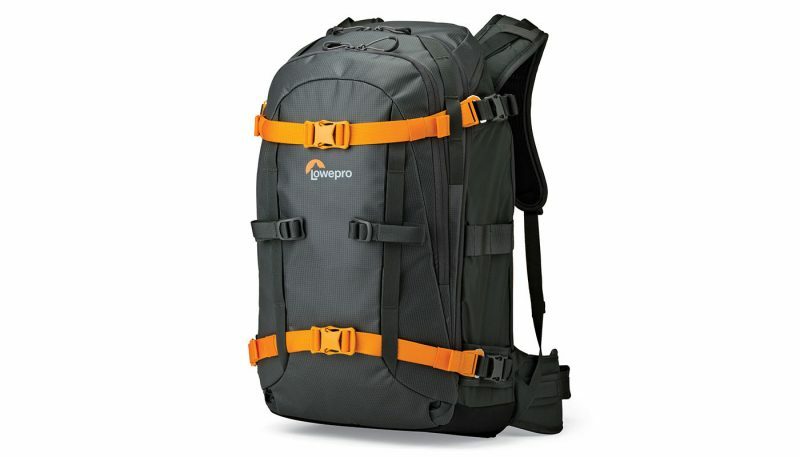 The Lowepro Whistler BP 350AW was the most stable pack by a large margin mostly due to its impressive stiffness. 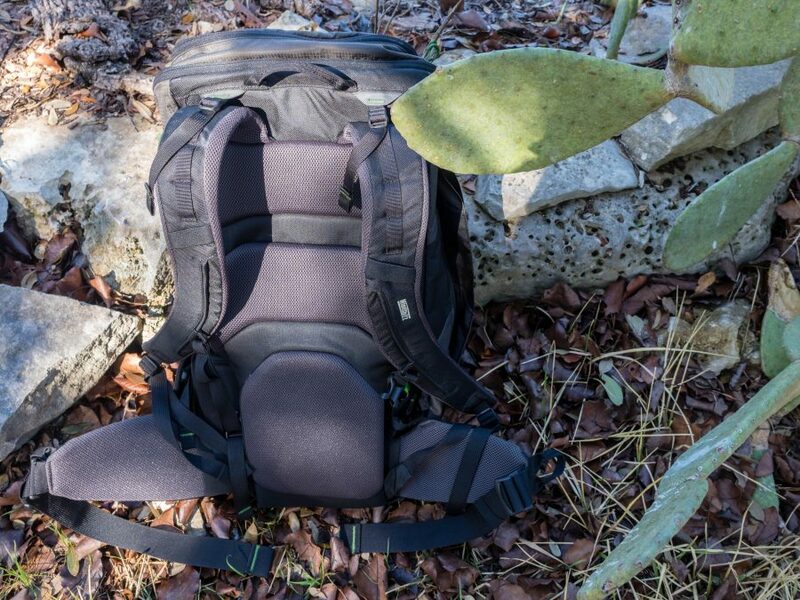 The rigidity of the pack combined with the superbly capable ActiveZone suspension harness kept loads approaching 35 pounds planted firmly on the back. All of the exterior panels of the pack are stiff which kept gear lashed on the outer surface or held in the outside pockets stable. 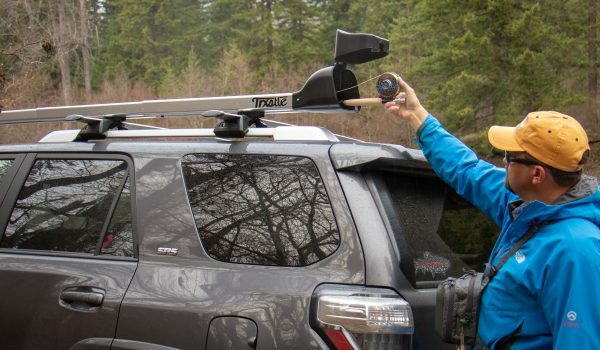 The camera gear insert has ample customization options, with plenty of MaxFit dividers, to tightly pack hardware to eliminate shifting, even during aggressive movements. The small front to back dimension kept the pendulum effect to a minimum. The all-around rigidity of the Lowepro Whistler BP 350AW gave it outstanding stability, even when performing aggressive maneuvers. 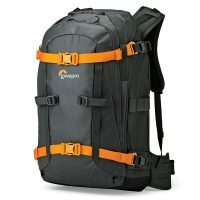 The storage criteria for camera backpacks involves a number of factors, not just size, to score. We considered access, capacity, and protection of camera related hardware in concert with the ability to carry other gear (layers, food, water), including items necessary for the working photographer (computers, batteries, office supplies). Design angles varied widely, some packs placing camera gear far and away as the priority, some shrinking photo capacity and protection in exchange for other storage options or minimizing overall size. Compromises abounded to keep the total dimensions of the pack manageable for daily use. The Mountainsmith Tanuck 40L’s large interior volume and storage features put it at the top of the list for overall storage ability. The large interior volume could hold a multitude of optional Mountainsmith TAN Kit Cubes. When configured with even the largest TAN Kit Cube, the remaining space was the largest of the test for other gear. 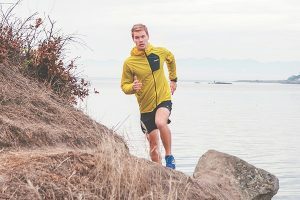 The floating lid and expansion sleeve produced even more storage volume, helping this pack to be the only one of the test that could conceivably hold overnight gear. The pack also had a computer sleeve capable of holding 17-inch machines, and plenty of pockets for both photo and office accessories. The total possible internal volume of the Mountainsmith Tanuck 40L dwarfs that of the second largest pack in the test, the MindShift Gear Rotation180 Horizon 34L. The Mountainsmith Tanuck 40 and Lowepro Whistler BP 350AW numerically scored the same in the durability criteria, both bearing excellent materials and construction. 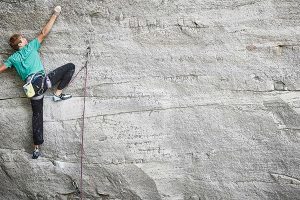 The Lowepro edged ahead as some of the material and hardware choices gave it an advantage in resisting harsh environments and rough handling. The 420d PU coated ripstop nylon, the front panel coated with TPU on the exterior surface, and the Hypalon base warded off all forms of abrasion and punctures. Full-sized, robust plastic and metal hardware choices fared just as well with abusive and rushed use. The rigid overall nature of the pack also added to its durability, fending off snags and mechanical damage better than the Mountainsmith. 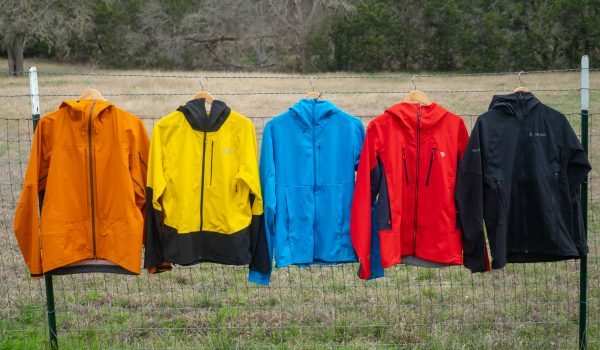 The Mountainsmith was extremely robust, but these differences in fabrics, hardware, and overall construction relegated it to the close runner-up position. Robust material choices, like this Hypalon base panel, made the Lowepro Whistler BP350AW hard to beat in the Durability mini rating. 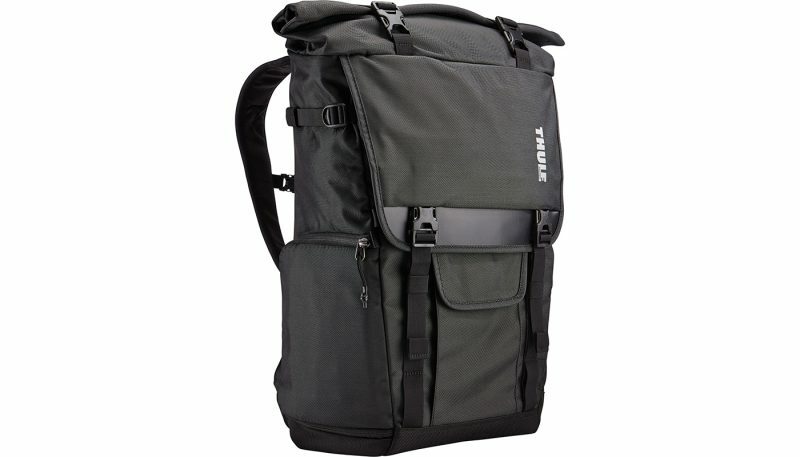 The Peak Design Everyday Backpack 30L scored the rare top score of “10” in the Extras criteria with a plethora of available features for the urban working photographer. Some features added convenience like the MagLatch, which offered one handed, no look closure of the main top flap. Other features added valuable security features for urban areas, like secured zipper pulls and a magnetically sealed, hidden passport pocket. Other features improved the usability of the pack; webbing handles on three sides made for easy carries, tuck away straps/hip belt and roller handle pass-through eased airport use, and a correctly positioned tail light clip point for commuting. 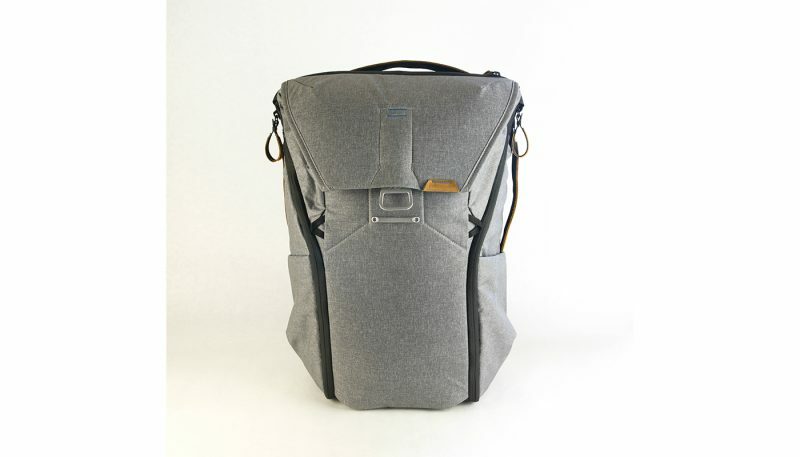 Other extra features added to the value and usability of the aptly named Everyday Backpack 30L. 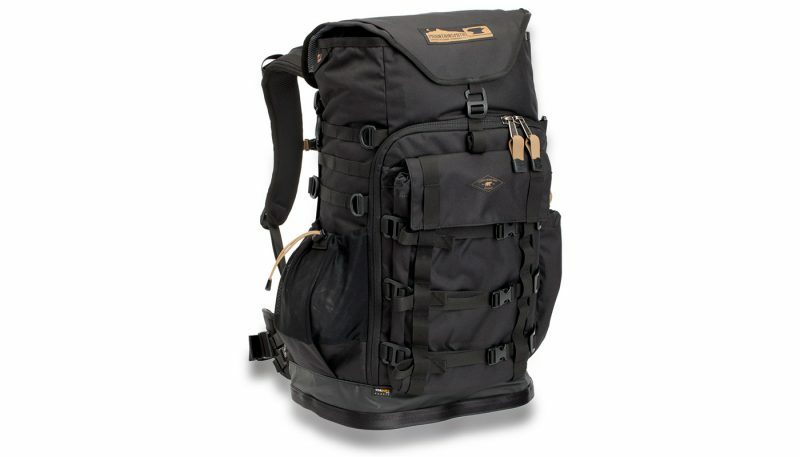 The Peak Design Everyday Backpack 30L possessed a large array of Extras, including this no-look, one-handed MatLatch that allowed expansion of the upper compartment. The primary purpose of a camera backpack is to transport all necessary camera gear comfortably and safely to the shooting location. These packs need to allow organization and access to camera gear while protecting sensitive equipment from impacts and environmental elements. Camera gear is dense and heavy; camera backpacks need to provide relative comfort to the wearer when carrying heavy loads. Travel to shooting locations can involve short urban strolls or arduous, long distance hikes over rugged terrain. Photography packs are oriented to serve certain situations better; urban-oriented packs play to different needs than outdoor oriented designs, but carrying comfort is an important criteria regardless. The dense and cumbersome nature of camera gear also makes pack stability important. 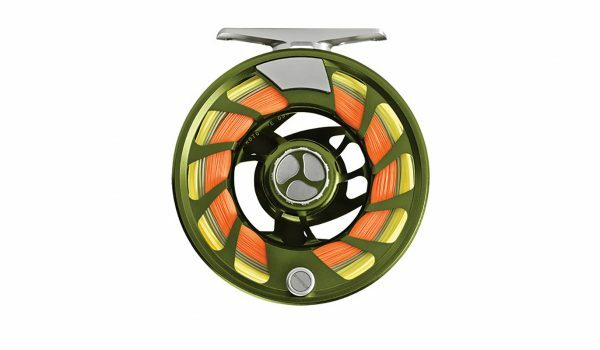 Glass and metal’s density can generate a lot of momentum, and the suspension system, camera gear organization system, compression system and overall design must be able to harness this energy and keep mass firmly planted on the back. 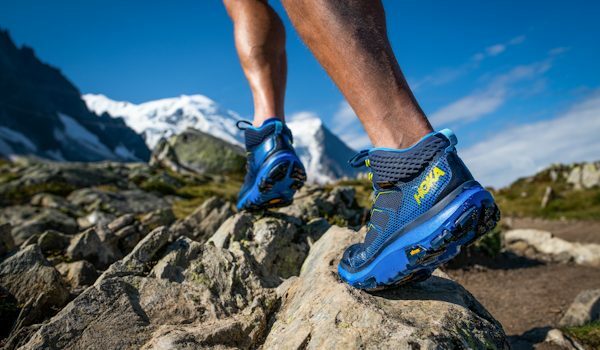 Stability affects comfort and performance while hiking, cycling and actively shooting, all crucial factors for active photographers. 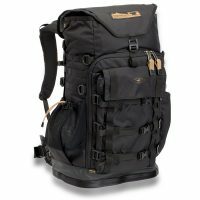 Storage capabilities of camera backpacks is a primary concern for photographers; the ability to carry and protect all necessary gear, while allowing additional room for other essential items is a fundamental design goal for these specialized packs. Packs more applicable to urban landscapes can dedicate more storage volume to electronics and office supplies, while outdoor adventure oriented packs have to leave enough space for clothing layers, water, and food. Camera backpacks manage compromises to best suit the intended shooting locations and planned activities while keeping the overall size manageable. Careful consideration of total storage requirements is prudent when choosing a camera backpack; all other features become nonfactors if all necessary gear doesn’t make it to the shooting location. Durability is essential, not only to protect the investment made in the camera backpack but also to ensure that expensive and fragile photography equipment makes it to, through and back from the shooting assignment. 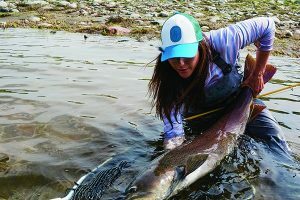 Durability tends to be at odds with weight, and camera gear is already substantial, so the durability vs. weight problem could be a factor for those aiming to go far or high. Extra features improve the usability and convenience of camera backpacks. Some features improve working in urban areas while others serve those shooting in the wild. Additional features range from security measures for urban packs to ski carry options on outdoor-oriented designs. 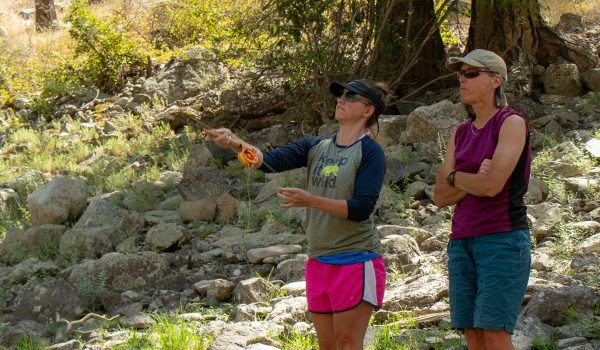 Additional features can add complexity and weight, considerations for outdoor adventure shooters covering long distances or significant elevation changes. 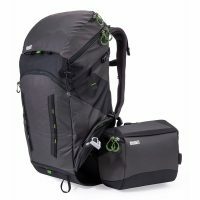 What is a Camera Backpack? Camera backpacks are specialty items designed to protect and efficiently transport all necessary camera gear and other required items to the shooting location. Camera backpacks have a central storage location to house and protect the bulk of the camera related apparatus. These padded storage areas can be removable inserts or fixed within the pack body. Removable inserts allow the use of the entire pack volume for other activities and can facilitate the use of the same insert in other bags or cases. Moveable dividers in the camera gear storage area allow customizing to fit specific gear best, allowing changes in capacity, accessibility, and security of these items. Camera backpacks vary widely in the ability to carry noncamera gear; some models leave very little dedicated space for other items, relegating unused camera gear storage space for this purpose, while others have separated areas. 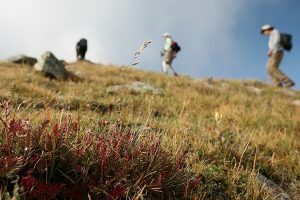 Urban-oriented packs tend to reserve specific space for electronics and office items, while packs aimed for the outdoors tend to have space for layers, food, water and other outdoor gear. Protection of sensitive and expensive camera gear should be the priority. The other features of the camera backpack become unimportant if camera gear suffers damage en route to the shooting location. Some camera backpacks still require a level of care when traveling while others command confidence in the level of protection afforded. Although we tested all camera backpacks together, their designs made the packs either better suited to the urban landscapes or the wilderness areas, and to the activities pursued in those areas. Packs destined for urban shoots frequently have more storage capacity dedicated to computers, electronics, and office accessories. These bags have understated looks to avoid drawing attention to the valuable contents and irreplaceable images. 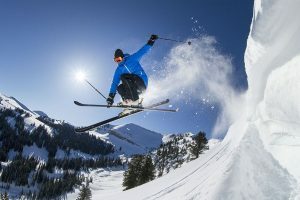 Outdoor-oriented designs focused more on carrying other outdoor gear, such as skis, axes and the like, and weatherproofing is a must. The camera gear tended to have more robust protection, and overall, the outdoor-oriented packs were constructed to withstand treatment common with outdoor pursuits. Shooters enjoying both the cities and the wilds may require more than one camera backpack in their collection for the best protection and highest efficiency during their outings.